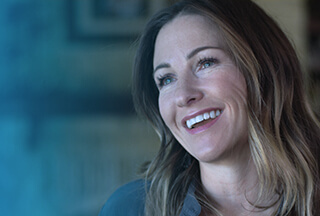 Strategic Marketing and Business Development Manager - IoT Solutions at Dell Inc.
Dell provides the technology that transforms the way we all work and live. But we are more than a technology company — we are a people company. We inspire, challenge and respect every one of our over 100,000 employees. We also provide them with unparalleled growth and development opportunities. We can’t wait for you to discover this for yourself as a Strategic Marketing Business Development Manager on our IoT team. Dell Technologies' new IoT solutions group is launching a solution in the area of federated analytics with a focus on predictive maintenance, computer vision and statistical machine learning. If you have deep marketing experience in a high-tech, dynamic environment and excellent partner engagement skills , this is the perfect role for you. Build effective value proposition & messaging for other audiences like field, partners, press, and analysts. Work with internal stakeholders to establish partner strategy and priorities that will determine recruiting and partner development focus. Be responsible for recruiting, developing and supporting strategic technology partnerships and the partner ecosystem. Be the first point of contact for partners around all key areas (operations, financial, sales, training, product enhancement, etc.) and drive new partnerships, support integration of new products to existing partners, and ensure the prompt and proper resolution of daily business issues. Excellent written and verbal communications skills; public speaking is a plus. Ability to translate technology features into business benefits.